Roads has big cracks and road is crumbling up. Needs to be repaved Instead of paving here and there. Road is full of pot holes and is broken up in front of residential drive ways. Pot holes have came back, I think the whole street needs to be repaved. Cause the pot holes that they fill always comes back. I think the whole road needs to be paved. Starting to have crakes in the road . And the more it rains seems like the pot wholes are starting to come apart. Road is not fixed . I live down 134 Nantz the road is paved majority of the way but it turns into a gravel road, more like a mud hole. I drive a normal car and ever day I leave my house my car bottoms out because of these huge holes and uneven road. just across from the curve sign on ferguson ridge road about 200 feet into woods is a large tire dump, this has been reported a year ago and nothing has happen. this is very bad for mosquitoes to breed. another tire dump on hiway 321 south at intersection of Robinson road, several hundred tires just off roadway and some are in bamboo ,gaston county also. Gsaton county and a number of depts including state officials have been notified, i contacted Gaston county again a few days ago and their response was they are not aware of any tires. they ignore the issue, mean while the mosquito days are here. I have found several other dump sites in North Carolina and reported them. as of today none of the sites have been cleaned up. 2 years of reporting and to response. NC collects a tax on every tire sold to be used for clean ups of tire dumps, but fail to act. Tanglewood Dr. has a sinkhole or a large and deep pothole, I sprayed orange marker paint around it to warn myself and others. This thing is at least 2 to 3 feet deep. Very Dangerous. The Left lane of Southbound Interstate 85 ends just prior to the bridge for exit 26 Belmont Abby College. The traffic backs up in this area during heavy volume times and people ignore the lane ending signs and wait until the last minute to get over one lane to the right to continue on. 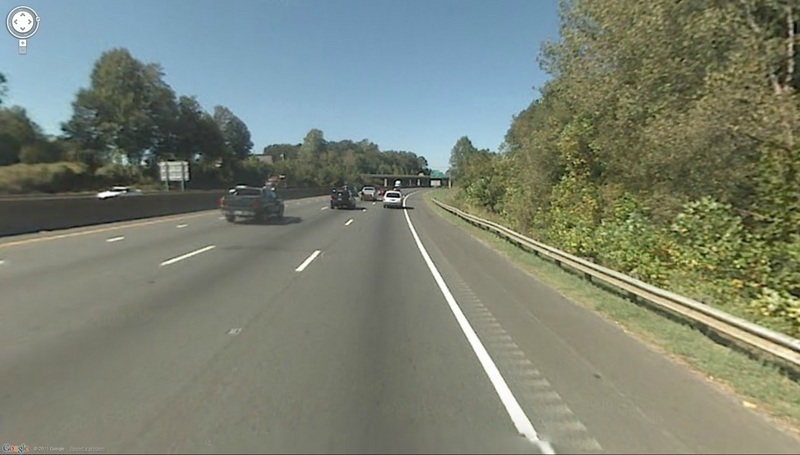 Please ask the appropriate authority (NCDOT) to review this area and see if altering the traffic pattern to have the right most lane end at that location or before at exit 27. This would allow the left lanes to be unobstructed to cause the traffic to flow better in this area during times of heavy volume. I would also recommend they look at the amount of accidents reported in that mile or half mile to see if changing the pattern would reduce them by a significant amount. Trying to vote for it. How do I do that? Here is an image to update this. Get ready for it to get worse with the Christmas lights in McAdenville. This issue is beyond frustrating. There are ALWAYS accidents at this lane merge because people wait until the last minute to get over. I understand that electrical signs have been put up warning drivers that the left lane ends a couple miles before it happens, but this has not helped. Something needs to be done! I sit in traffic every single day hoping I won't be involved in an accident! Still nothing from DOT yet accidents keep happening here.